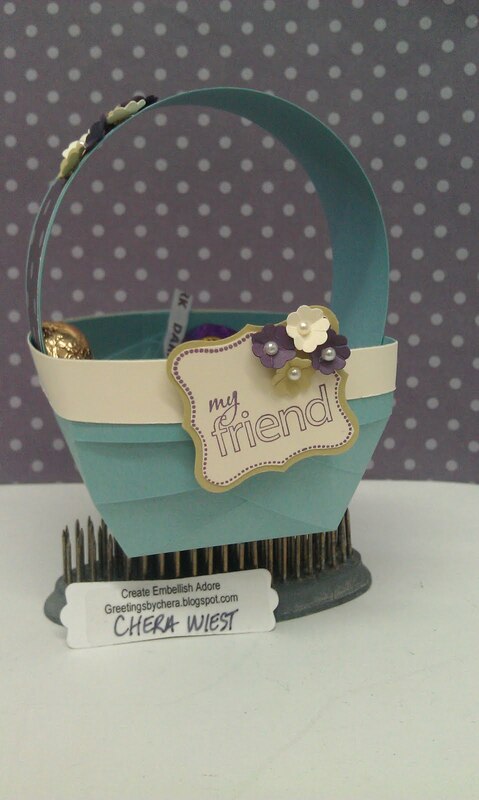 I haven't made 3D items in forever... and now I need one... so I found this perfect basket... and it really is perfect! I have a co worker whose down with some really contagious virus and stuck at home - so I figure I put this together, drop it off at the front door - ring bell and run!!!! LOL, I will phone first! It was simple to put together, but wasn't sure how to decorate it ... and then saw the Stampoholics challenge for colors... OH HOW PRETTY! ... I am still a Baja Breeze so why not? 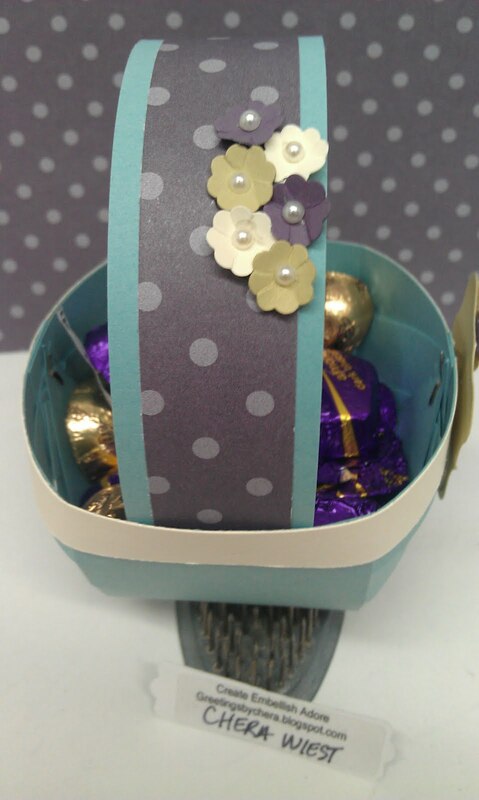 I used some flower punch embellishments. This helps make it more feminine. I think flowers soften things up as well. 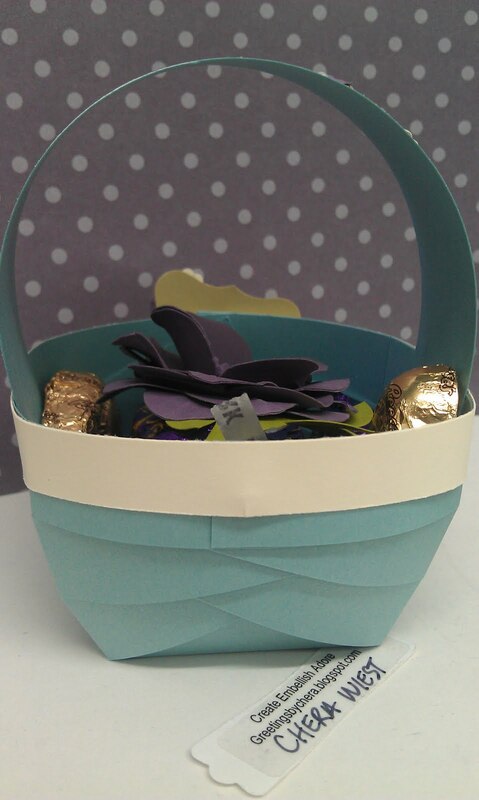 Its a perfect "GET WELL SOON" basket and "WELCOME BACK" to the office, just incase I am too scared to run it to her while she is out! ﻿I hope your weekend was great! Its a Triathlon day for my other half, so I am off to be a cheerleader! 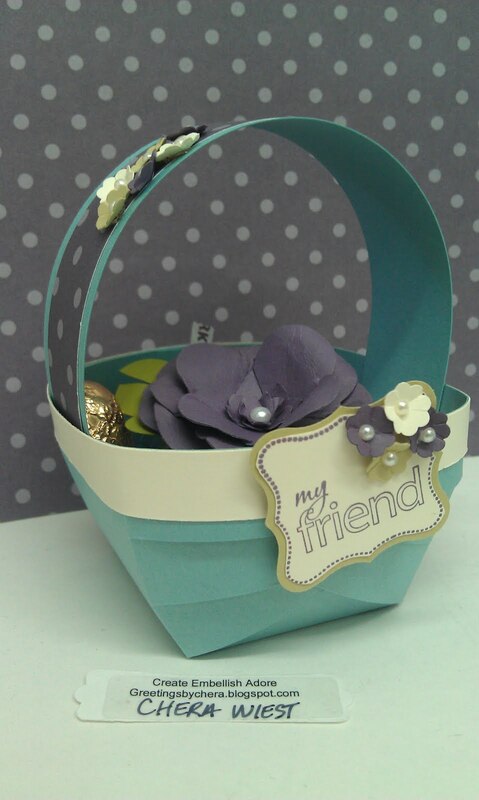 what a cute basket and I'm sure your friend will absolutely love it! 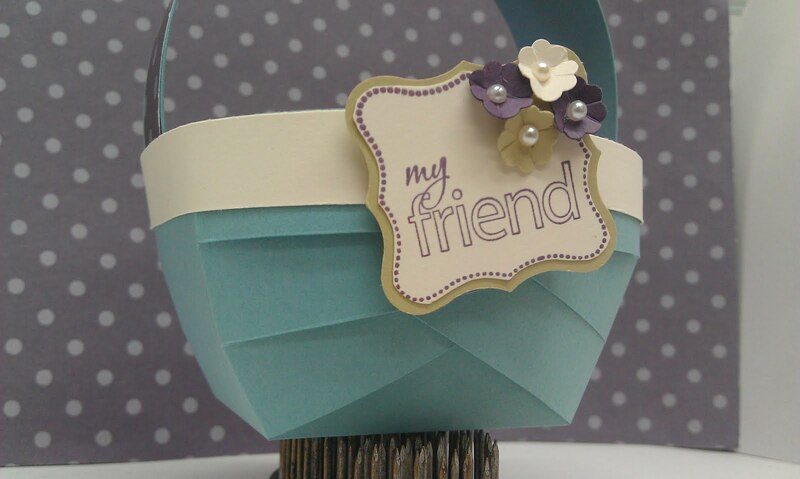 That is a darling basket!! It will bring some joy to your sick friend. so cute! love the way you've decorated it!! !